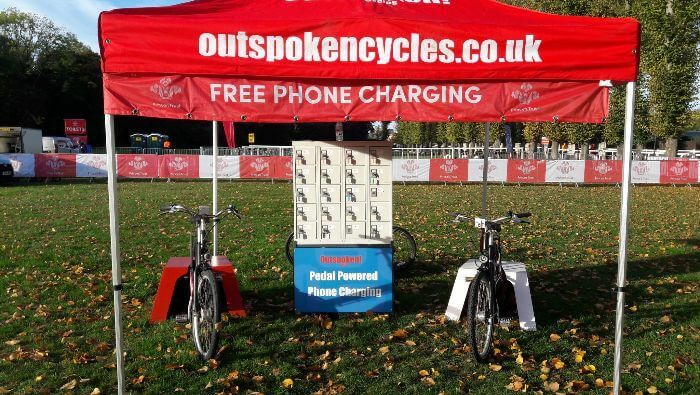 Our Pedal Powered Phone Charging is great for festivals and events where there’s no access to power, especially at long or multiday events. The quirky activity is great fun and a brilliant way to show a committment to sustainability at your event. We normally charge phones for one hour in return for 5 minutes pedalling. Our locker system allows people to leave their phones while they charge, so they can enjoy the event. 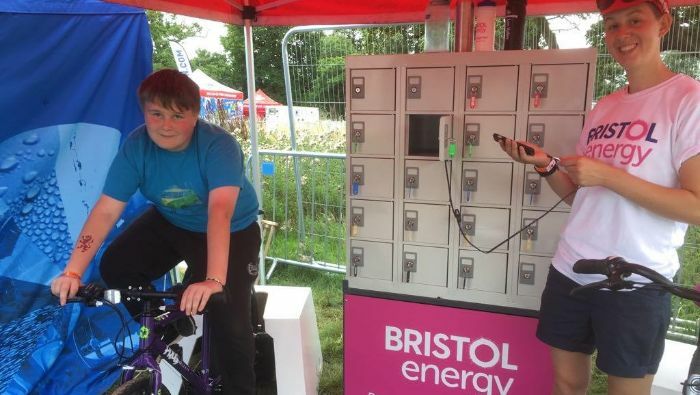 For more photos of the Pedal Powered Phone Charging visit our Flickr page.